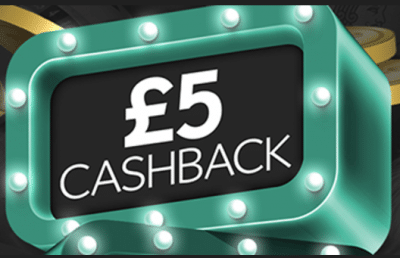 Get up to £35 in bonuses. How to get the promo code and the full bonus (up to £35 in bonuses)? 1 How to get the promo code and the full bonus (up to £35 in bonuses)? 5.1 Q: What if Totesports asks me to verify my account? 5.2 Q: Can I clear different bonuses at the same time? 5.3 Q: Does Totesport offer a VIP program of some kind? 5.4 Q: What are the best payment methods to use for promotions? 5.5 Q: What if I forgot to enter the promo code at the sign-up? Deposit £10, the Tote customer support will add the free bet to your account. There are plenty of offers available at the sportsbook of Totesport. This list includes the ongoing promotions that can be found on a regular basis only. Occasionally, the bookie launches special offers for a limited time as well. New UK & NI Customers. 18+. Stake from £5 to £25 on any Sportsbook market for the first time, at odds of evens (2.0) or greater and get a matched Free Bet within 24 hours of settlement, 7-day expiry. Stake £10 on any Totepool bet for the first time and receive £10 back in cash within 24 hours of settlement. Totesport has a nice promotion for betting on UK and Irish horse races. If you place a wager before the event and the starting price is higher, you will be paid according to the latter. Some markets like lucky 15s, 31s, 63s, ante-post, tote, or Pari-Mutuel are excluded from the promotion. Also, the earliest time that qualifies for the best odds guaranteed is 8:00 UK time on the day of the race. If you bet before that, you can’t take advantage of the promotion. There are a couple of other horse racing promotions that are worth your attention. For example, Totesport often gives away free bets if your horse finishes second after the SP favourite. In such cases, you will get refunded with a free bet of up to £25. Most races in the UK and Ireland are included in this promotion. Make sure to check if that’s the case before placing your bets. The other Totesport horse racing promotions are targeting specific markets such as Lucky 15s, 31s, and 63s. You can get various boosters to your winnings if you guess at least one winner and even more if you get them all right. Most of the offers apply to UK and Irish horse races, as well as some greyhound events. The first of them is called Super Bonus Races. Totesport selects six races and if you hit an all-correct Lucky 15s, 31s or 63s, you get a boost on your winnings. The percentages start at 15% for 15s and go all the way up to 100% for 63s. There’s a similar offer for regular races as well, but the percentages drop to 10%, 15% and 25% for Lucky 15s, 31s and 63s respectively. Finally, Totesport has a 5x the odds for one winner offer. If you get one winner on Lucky 15s, you get 3x the odds, for Lucky 31s it’s 4x and 5x for Lucky 63s. The promotion applies to real and virtual horse and greyhound races. This promotion is targeting football matches and the first scorer market, in particular. If you place a wager on a certain player, you have the chance to double or even triple your winnings. This happens if your player scores the first goal and the goes on to score the second (double delight) or even the third (hat-trick heaven) as well. Totesport usually covers games from the top European leagues and UEFA competitions with this promotion. It’s important to note that only bets before the kick-off qualify. There’s a similar offer for both the Rugby Union and the Super League. If you bet on a player to score the first try and he does, there’s a chance to get higher winnings. Totesport will double them if he scores the second try and even triples them if he scores the third as well. The latter applies to games from the Super League only. Once again, only wagers placed before the start of the game qualify for this offer. Totesport offers a live streaming service that covers plenty of greyhound races. On all of those broadcast on Sky Sports channels (red button included), you can get the best odds guaranteed. Once again, markets like Lucky 15s, 31s, and 63s, ante-post, tote and Pari-Mutuel are excluded from the promotion. Also, Totesport won’t accept prices taken after the first show. The offers for the Totepool section are separate and provide more opportunities to get additional value. There are plenty of big money rollovers each week at Totepool. Some of them surpass the £100,000 mark on a regular basis and have an entry fee of just £1. Make sure to check what’s available and try your luck for peanuts. The biggest prize so far is £1.4 million with a stake of just £1. Totepool is the only place you can access large Hong Kong pools. There are three bets available: win, place, and trifecta. The races included in the Totepool coupon are at Happy Valley on Wednesdays and at Sha Tin on Sundays. Q: What if Totesports asks me to verify my account? A: There’s nothing wrong with that and you shouldn’t worry about it. The Know Your Customer procedure is standard for all European bookmakers. Just send the necessary documents and you won’t have any issues. Q: Can I clear different bonuses at the same time? A: According to the terms and conditions of Totesport, you can’t clear more than one bonus at the same time. Q: Does Totesport offer a VIP program of some kind? A: No, there isn’t one at the moment. However, there are plenty of different ongoing promotions that make up for that, as you can see in this article. A: As most bookmakers, Totesport excludes deposits with e-wallets and prepaid cards from some of its promotions. This means that you should think twice before using Skrill, Neteller, or PaySafeCard. Q: What if I forgot to enter the promo code at the sign-up? A: It’s not too late. Contact the Totesport support to receive the offer.